It is said that the large Japanese cedar where Komako, the heroine of "Snow Country", sat under to cool off is also a location in which the author, Yasunari Kawabata, sat to contemplate his novel. 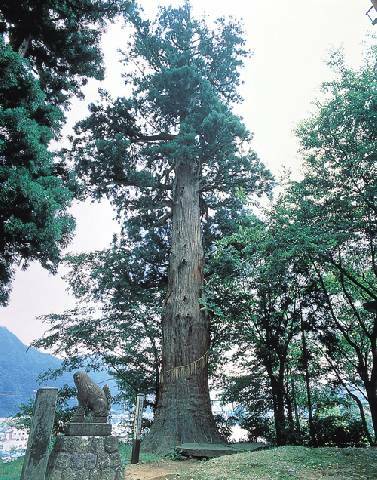 The tree is 400 years old and has been designated as a natural monument of Yuzawa. 25 minutes walk from Echigo Yuzawa Station.